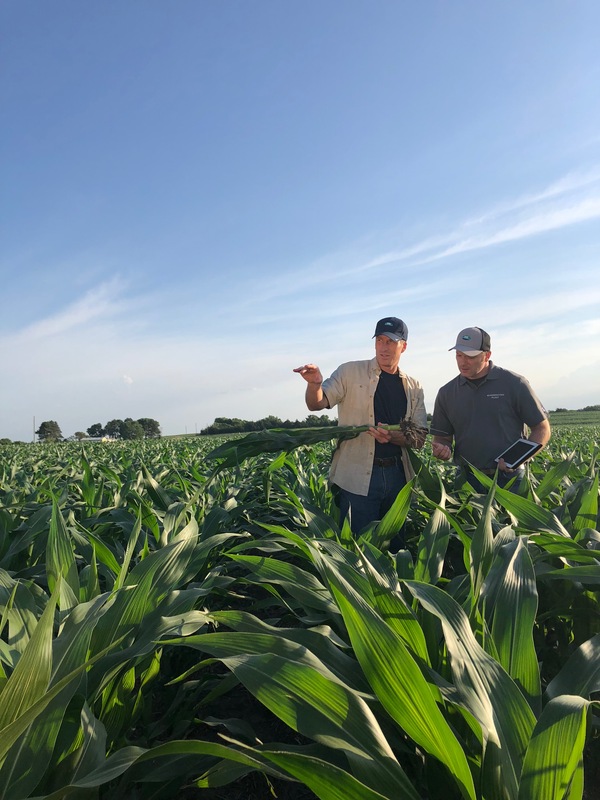 MINNETONKA, Minn., USA, Aug. 28, 2018 – One year after announcing a comprehensive long-term commitment to the NK® seed brand, Syngenta is bucking the trend of industry consolidation and reporting significant growth across the NK organization – from the lab to the field. The investment has also revitalized the NK corn portfolio. With access to one of the industry’s largest and most diverse germplasm pools, NK breeders are consistently delivering new hybrids with high yield potential and stability. Factor in industry-leading trait stacks like Agrisure Duracade® 5222A E-Z Refuge® – the ultimate trait stack for premium insect control, choice, simplicity and water optimization – and farmers can feel confident their NK hybrids’ genetic yield potential is protected. For example, farmers are expected to benefit from a new $30 million trait conversion accelerator currently under construction in Nampa, Idaho. They also will have access to new, best-in-class trait stacks like Agrisure Viptera® 3330 E-Z Refuge® – providing the industry’s broadest above-ground insect control – as well as a first-of-its-kind soybean trait that will provide new options for weed control. For more information, visit www.NK.com. Join the conversation online – connect with Syngenta at Syngenta-us.com/social. 1 In 2017 FIRST test results, Syngenta brand soybean varieties including NK secured 58 top-three finishes. Pioneer® brand varieties secured 27 and Asgrow® brand varieties 17. NK offers growers a science-driven boost to their seed portfolios. Our researchers tap into “big data” techniques to drive innovation that helps growers spread risk and maximize whole crop return. Plant the Seeds of Change to see the difference that innovation can make. ​​​​​​​This document contains forward-looking statements, which can be identified by terminology such as ‘expect’, ‘would’, ‘will’, ‘potential’, ‘plans’, ‘prospects’, ‘estimated’, ‘aiming’, ‘on track’ and similar expressions. Such statements may be subject to risks and uncertainties that could cause the actual results to differ materially from these statements. For Syngenta, such risks and uncertainties include risks relating to legal proceedings, regulatory approvals, new product development, increasing competition, customer credit risk, general economic and market conditions, compliance and remediation, intellectual property rights, implementation of organizational changes, impairment of intangible assets, consumer perceptions of genetically modified crops and organisms or crop protection chemicals, climatic variations, fluctuations in exchange rates and/or commodity prices, single source supply arrangements, political uncertainty, natural disasters, and breaches of data security or other disruptions of information technology. Syngenta assumes no obligation to update forward-looking statements to reflect actual results, changed assumptions or other factors. ©2018 Syngenta, 11055 Wayzata Blvd., Minnetonka, MN 55305. NK® and the Syngenta logo are registered trademarks of a Syngenta Group Company. All other trademarks are the property of their respective owners.